There is no linear cut on the back of the scalp. No linear cut so no sutures/stitches and no linear scar. A patient can keep hair short even after FUE Hair transplant, no fear of visible scar. Pain is reduced to a great extent as compared to FUT. Recovery is fast and Patient can resume his duties on the very next day. 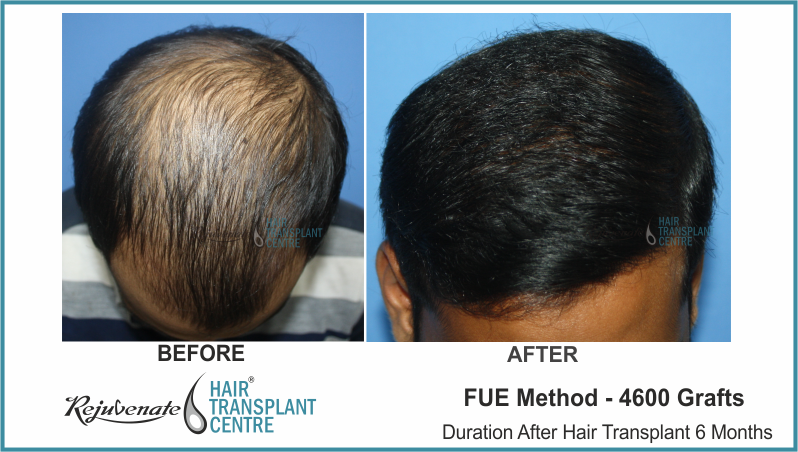 FUE means follicle unit extraction. It is the technique of removal of hair follicles from donor area by a punch. The punch is a circular knife which is mounted on a motor-driven handpiece or sometimes it can be mounted on a manual instrument. The area from where grafts are to be removed is marked. This is very important that we should not cross the safe zone of the donor area otherwise we may extract temporary hair and there may be a loss of this follicles in the future. Next step is to give local anaesthesia. At Rejuvenate Hair Transplant in Indore cold packs and vibrators are used during anaesthesia so the patient has very little pain. While removal of follicle there is no pain and patient remain fully conscious and comfortable. 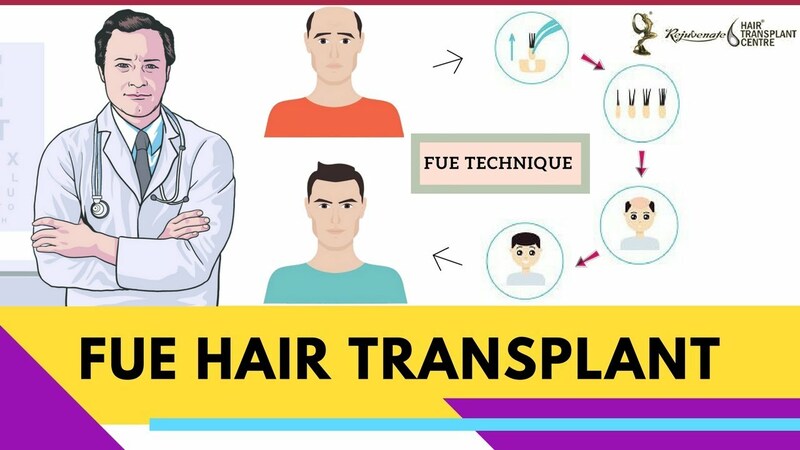 By using this FUE Hair Transplant technique we can take grafts from the backside of the head and other parts of the body like beard, chest, abdomen and also from upper limb and lower limbs. The biggest advantage of FUE Hair Transplant is we can harvest hair roots from the area other than the scalp. 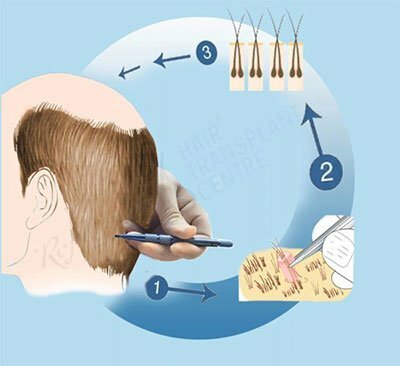 When follicles are taken from another part of the body other than scalp it is called as body hair transplant. With the invention of BHT now it is possible to get a large number of extra hair follicles this is especially important when a person is not having enough scalp donor hair in such cases we can take hair follicles from his beard or chest. Even grade VII patients, who are using hair patch is getting a good hair transplant result at Rejuvenate Hair Transplant centre by the combination of FUE and Body hair transplant. The common question to your mind may come that the hair from beard and chest are short and different. The answer to this is that this hair when we put on the head when they grow longer but thickness remains the same. Usually, beard hair is thicker and Curly. So thicker and Curly hair gives better volume coverage as compare to scalp hair but as they are little different then scalp hair, we put them on the backside of the head and also mix them with scalp hair. Now a day at our FUE Hair Transplant centre very commonly we are taking body hair to cover advanced grade of badness. Many of our patients who are using hair wig or hair patch has undergone successful satisfactory hair transplant with reasonable good density by using FUE technique from scalp beard and chest.